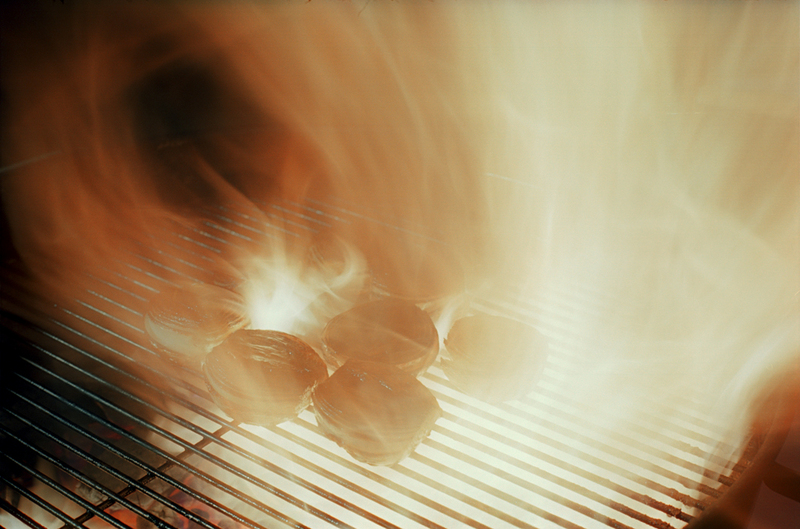 Start your charcoal. You want a medium to hot fire. Peel the Onions and cut them in half. 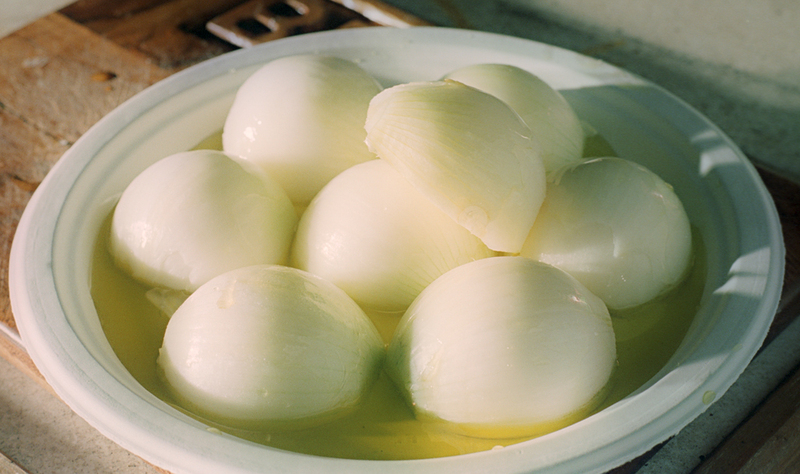 Place onions into a dish deep enough to hold 1/8" or so of olive oil. 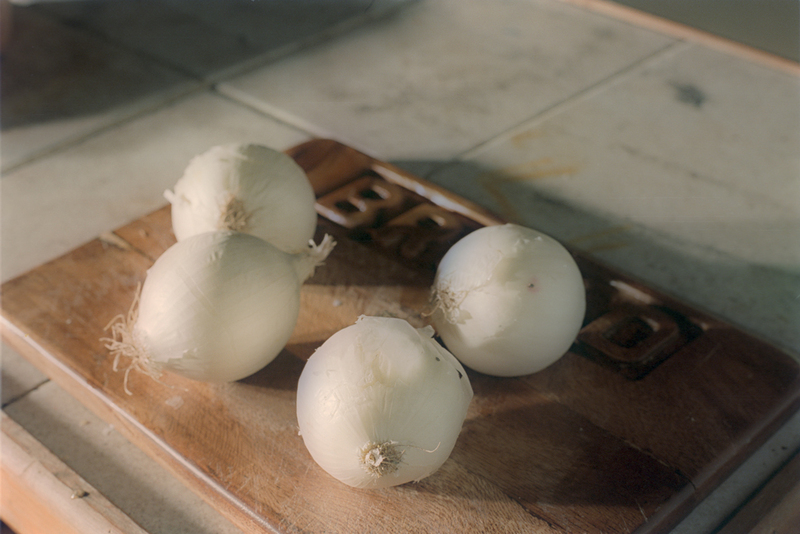 Pour olive oil over onions and let them soak face down while doing the rest of the prep work. Cut each tomatoes into 8 slices. Place them into a container with a tight fitting lid. Neatness doesn't count - we're going to be shaking the container in a couple of steps. 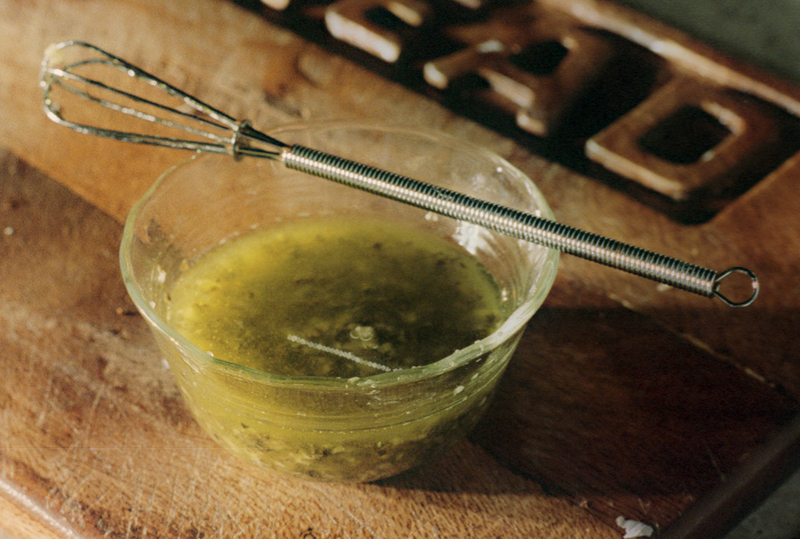 Put 1/3 cup Olive Oil into a small mixing bowl or dish. Add the Oregano and Basil. Press the garlic into the oil (or mince the garlic and add to the oil). Mix well with a small wisk or fork. Quickly pour the oil mix over the tomatoes. Close lid tightly and shake to cover all the tomatoes evenly with the oil mix. 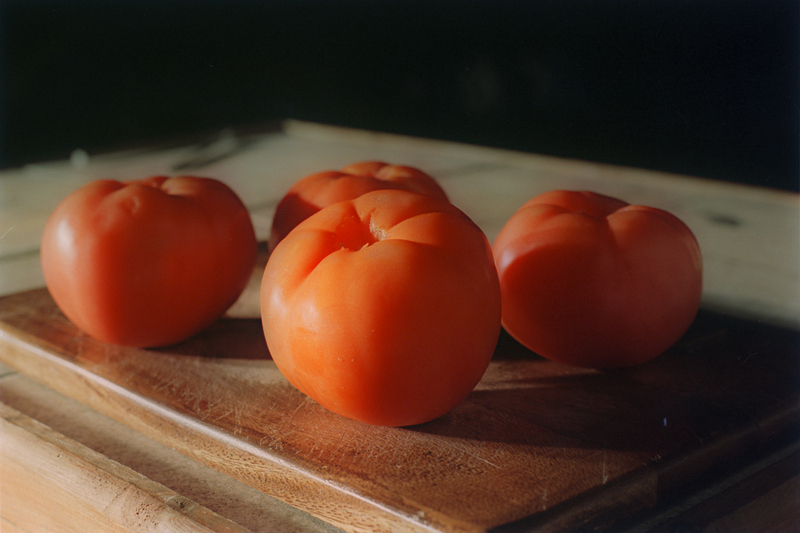 Try not to shake so vigorously that you break the tomatoes. Place the onions on the grill, cut side down. I use tongs to place them. 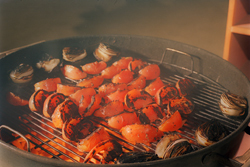 Use caution as the oil dripping onto the hot coals will cause flare-ups as pictured. 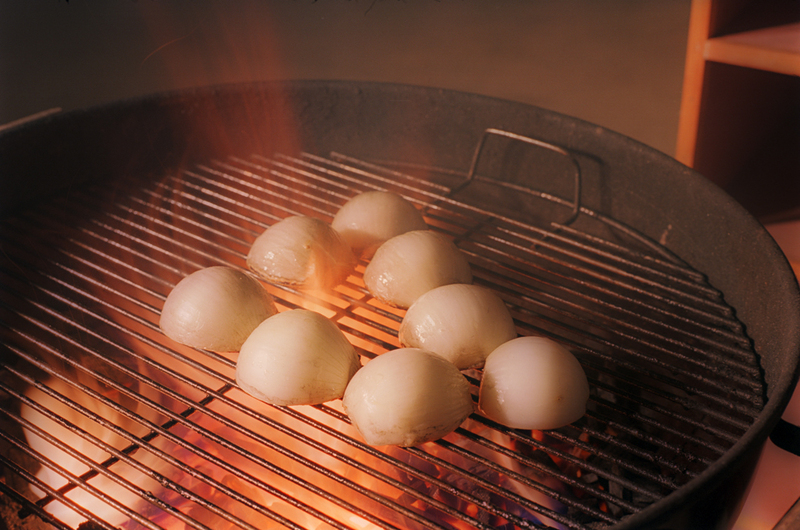 Leave on grill about 90 seconds. 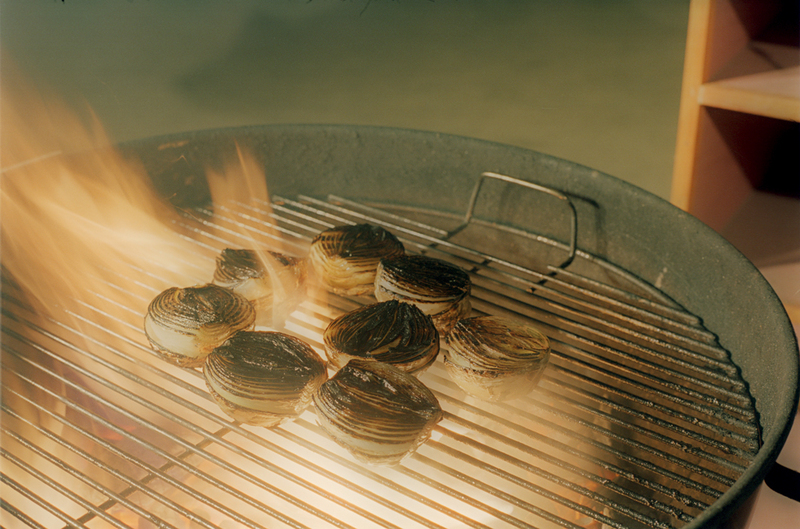 Turn onions over and grill for another 90 seconds. Pour the oil remaining from soaking the onions onto the cut sides, now facing upwards. Again - the oil will cause massive flare-ups so protect your hands and arms. After 90 seconds, move the onions to the sides of the grill and leave them cut side up. 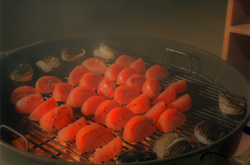 Place the tomatoes onto the grill. Again, I use tongs and you will get oil flare-ups. Grill the first side for about 90 seconds. This is just about enough time to actually get all the tomatoes onto the grill. I usually hit the timer to start the countdown when I've got half of the tomatoes onto the grill. Turn the tomatioes over and grill another 90 seconds. 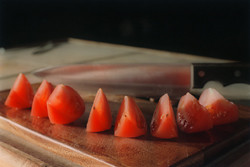 I use tongs for this also as I have found it is more difficult to control the tomato slices with a spatula. 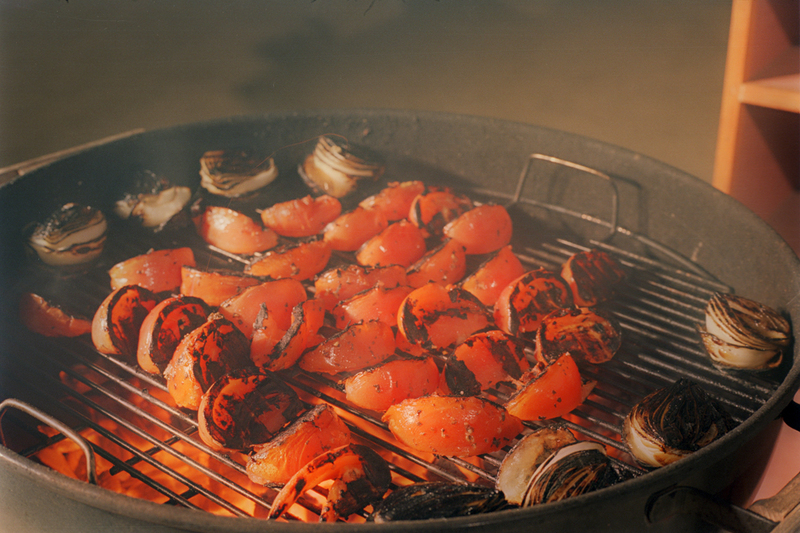 After 90 seconds, remove tomatoes and onions from the grill. Hot off the grill as a side dish for beef or ribs. Hot or chilled as a dressing for salad. Put into food processor and pulse to the texture of a rough salsa. Use as a marinara sauce.